Holiday WordPress Theme was designed and developed to be used for the business niche of hotels, motels, resorts or something similar to that. It’s main idea is to present your accommodation, your services and give the ability to your visitors to book them. 2. 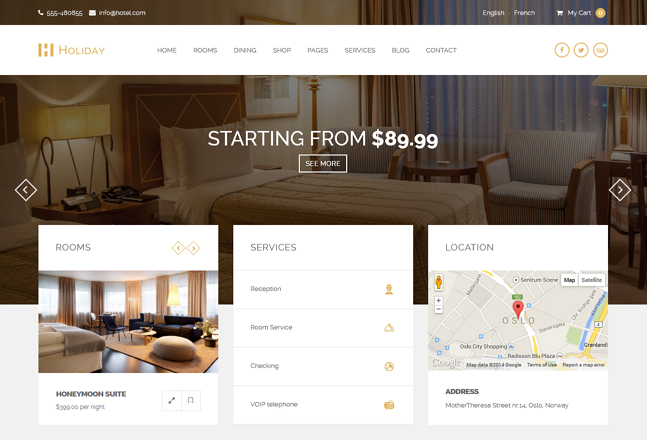 The Woo Commerce system integrated the Woo Commerce plugin into our design and styled it in a way to adapt it with the rest of the theme In this method you can add your rooms or even other services as products on your site shop, add photos, information. In the end your guests bill be able to pay your services with different methods as credit cards, PayPal, wire transfer and you can maintain this content through the options of Woo Commerce. 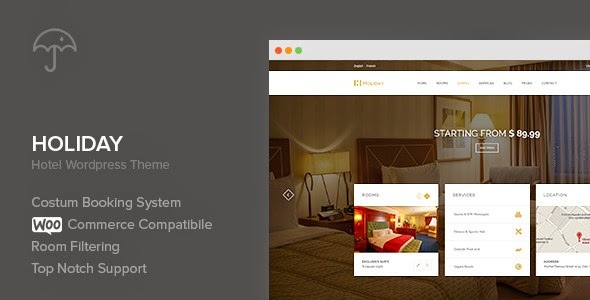 Item Reviewed: Holiday Responsive Hotel Niche WordPress Theme 9 out of 10 based on 10 ratings. 9 user reviews.